Finally hit page 10! Well, not including the cover, if we include the cover it’s 11 pages in the archive. ^^; Anyway I plan to get the site hooked up with a few link sites now that I have a sufficient archive to show new visitors. If you like this comic, please share it, or continue to share it! Totally read that sound effect as “Russia!” at first. Wow, very nice backgrounds. I saw your post on using sketchup which I’m guessing is what you are using for the shrine? I’m a big fan of shoujo so I’m looking forward to this story. 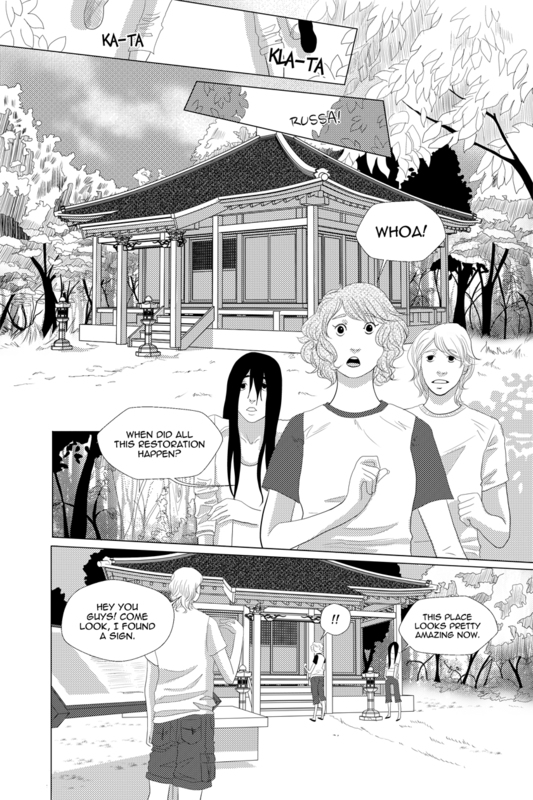 Yes, I used sketchup for the shrine structure and the signboard but the trees are drawn. Also I hope you enjoy the story!